Read the Key Verse with your class. After reading the verse with your students use the following definitions to help them understand it a little better. Use this discussion to prepare your students to understand the importance of the Psalms as we begin our study of them. We see in our memory verse that the Psalms are songs sung as praises to God, but they are also to instill wisdom and good judgment in our hearts and minds to teach us how to live. Summary: Today we continue with the second of the Personal books, Psalms. Psalms is known as the Israelites’ songbook. David is often accredited to as its author. Although he probably wrote almost half of them (about 73), there were other authors, known and unknown. Many of the Psalms were written when different men approached God in prayer because of circumstances surrounding them. You can see instances of great sorrow, admitted sin, repentance, hope and trust in God, faith, and a great love for God. Throughout Psalms, man’s prayers from the heart turn to singing in that prayer – ending with man praising God, revealing that the Psalms are not only prayers from the heart, but songs as well. Some were written in praise and adoration of who God is vs. who man is. So, many of these hymns are rich in Israel’s history. If we know the history, we will better understand the circumstances surrounding many of these songs. In the book of Psalms, we find God is infinite – sovereign; yet despite man’s failings, God still communicates with man, and allows man to communicate with him. We will especially see how the Psalms, broken into five books, parallel to the first 5 books of the Bible (the Law). Many believe the 5 books of the Law (Genesis through Deuteronomy) are God’s words to His people, whereas the 5 books of the Psalms are God’s people’s words (prayers and songs) back to God. Each of these five divisions ends with its own doxology (a hymn of praise to God). We begin today with the first book of the Psalms (chapters 1-41) revealing man and God’s dealings with man as compared to the book of Genesis. Remember in Genesis, we saw sin enter into the world, causing separation from God. We also found God actively involved in men’s lives. You may want to review that in Genesis there were 4 main events (the Creation, the Fall, the Flood, and the Tower of Babel) and 4 main people (Abraham, Isaac, Jacob, and Joseph). Emphasis: All of God’s Word is important – converting the soul and making wise the simple (Psalm 19:7). One idea for today’s lesson: (See picture below). 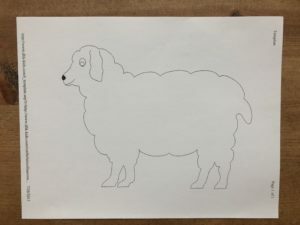 For today’s lesson we took an outline of a sheep and filled it with cotton balls to make a fluffy sheep. That was one way to remember that David (who we learned was a shepherd boy) wrote many of the Psalms. 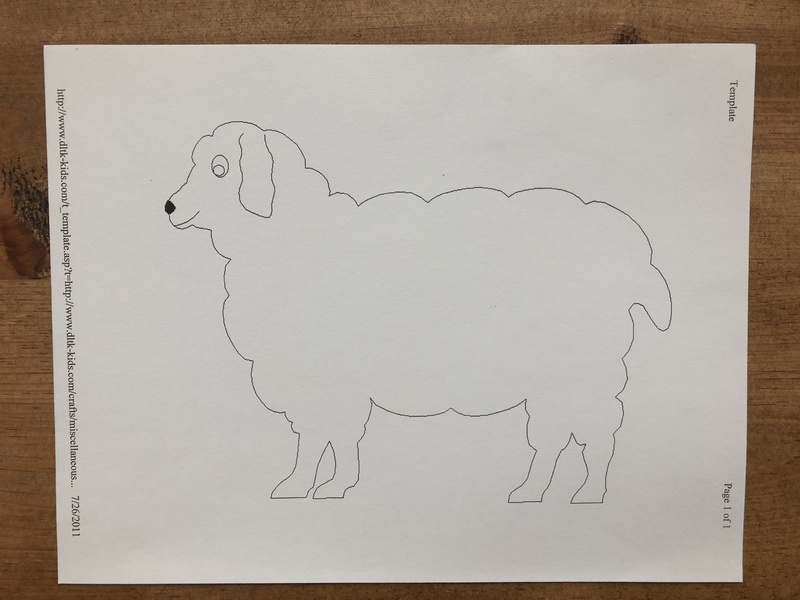 You could choose to do a craft that reminds your students of one of the 4 Main Events in Genesis (Creation, Fall, Flood, and Tower of Babel) as we compare them to Book 1 of Psalms.